For many households, the kitchen is the center of the home and the hub of activity. It is where the children gather after school, where parents help their children with their homework and where the family sits and sips hot chocolate on cold winter nights. Next time you are in your kitchen, stop and take a close look around. You might notice that your cabinets are looking a little dated, the flooring is stained and shows some damage and your countertops look like something from a 1970s sitcom. Perhaps because that was when your countertops were installed, 1975. Now, you have read about this before and we have touched upon it on several occasions. We do so because it is very important. The reasons to change up your kitchen are almost endless. If you wish to get the most out of your kitchen, consider giving A Polished Finish in Atlanta a call and having those kitchen countertops replaced. If you need a reason to have changes made to your kitchen, we have several. Pick up any luxury house design magazine and you can see the latest functional innovations including the latest and greatest appliances that will enhance your kitchen experience. Remember, your kitchen is the hub of your home and you spend a lot of your time there, so you want to make it as enjoyable as possible. Think about your living room or the room where you relax and watch television. What if that room included an old-school tube television with a manual channel changer, rabbit ears for reception and a top-loading VCR. What if this room was furnished with an art deco couch that looks really cool, but is totally uncomfortable. And what if there was orange shag carpet that tied the room together. Yep, that is one outdated room that you would have changed years ago. The same holds true for your kitchen, if it is outdated, get with the times, man. The layout of your kitchen may have been fine for the previous owners of your home, but it hardly serves your purpose. Perhaps it lacks a breakfast nook or an island with a couple of bar stools, additions that would enhance your kitchen experience. Don’t just settle, create a kitchen that serves your needs and makes you happy. Maybe there is more than one cook in your household or perhaps your kitchen tends to get log-jammed at certain times of the day. What your kitchen needs is a remodel that allows better flow. You might desire a more open kitchen that allows for more social interaction or more width between work aisles to accommodate two dueling chefs. The passage of time brings change, it is inevitable. And with these changes comes a host of new priorities. For example, kids grow up and suddenly your old kitchen isn’t as perfect as it once was. A kitchen renovation allows you to create a kitchen that fulfills your needs. Maybe you absolutely hate everything about your kitchen from the floor to the countertops. You just put up with it because a remodel was down the list of things that needed to be done to your home. Well, right now is a great time to turn that kitchen into a room you love. Go ahead, take a look at the flooring you want and the type of countertops that catch your eye. Your outmoded appliances could be costing you a lot of money. The energy efficient models available today can save you more money than you might think. Not only that, but you are doing your part in minimizing your carbon footprint. 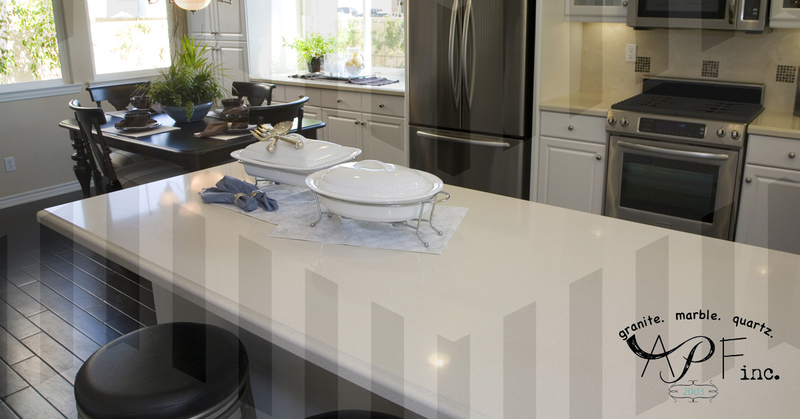 An up-to-date kitchen not only sets your home apart from many others, it also adds resale value. So if you plan on putting your home on the market in the foreseeable future, a kitchen remodel is a wise investment. Even if you don’t plan on selling your home, a kitchen remodel boosts the value of your home which can help if you wish to refinance. The first step in remodeling your home is to give A Polished Finish a call.